FourTrack 2.0, Other software dynamics processor from Sonoma Wire Works. Bounce - Mix your song to track 1 and 2 of a new song. This is designed to make room for two more tracks while preserving the originals for syncing to desktop recording software. 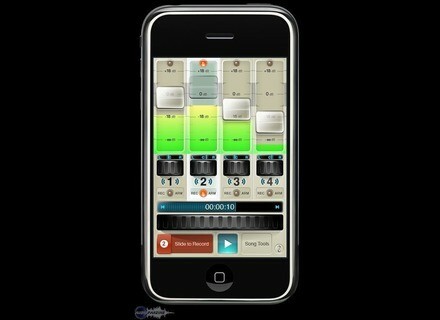 Duplicate - Make a backup of your song and continue working on it in a different file. 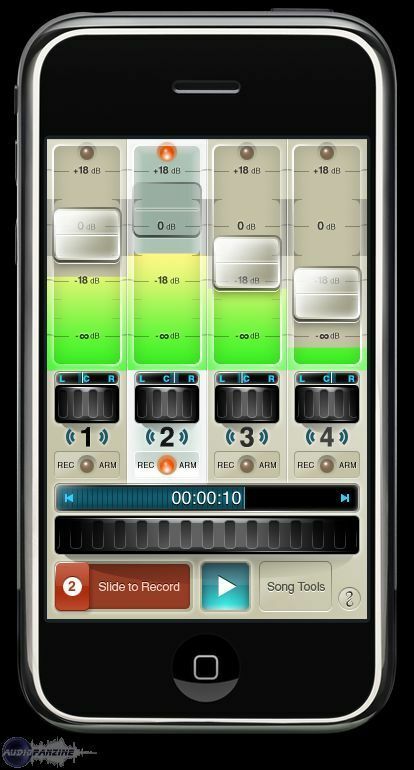 Metronome - Maintain a consistent tempo by recording along with real drums (not MIDI) using FourTrack's built-in metronome. Select a tempo by entering a number or by tapping. Choose from seven sounds including three beats by drummer Jason McGerr on his signature Ludwig kit recorded in his Seattle based studio, Two Sticks Audio. Other sounds (Block A, Block B, High Hat, and Pop) are samples of live drums and percussion courtesy of Discrete Drums, the multitrack drum library. Time signatures include 3/4, 4/4, 6/8 and X/4 (which are unaccented beats that can be used to play 5, 7, 9 and other odd meters). Tone2 WarmVerb Update Tone2 has announced that it has updated Warmverb, the modular multi-effect plug-in with routable modules and 38 types of effects, to version 1.1. Jeroen Breebaart Smash Pro Jeroen Breebaart has announced Smash Pro, a new Spectral Processor VST effect plug-in for Windows, and updated Red Phat Pro to v1.0.2. Bluezone Tech & Minimal Energy Bluezone presents its new product Tech & Minimal Energy, a pack containing drums, sound effects, percussive phrases and keyboards sounds.